Generally, we get more pimples as teenagers. Is this because of all of the hormones in your body? What about if your skin is dry? Can hormones cause that, too? Let’s find out! Not surprisingly, hormones affect males and females differently. Testosterone is the chief male hormone. It’s produced in both males and females, even though testosterone is predominant in males. When males hit puberty, they produce testosterone. Skin becomes oilier during puberty because of greater testosterone levels. Oily skin means acne! From ages 10 to 29 or so, males produce large amounts of testosterone. 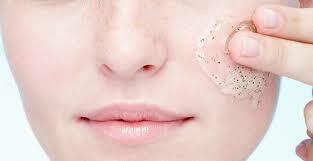 Chances are if you’re in your teens or 20s, you have oily skin or are more acne prone. Are you in your 30s, 40s, or 50s? Maybe your skin is starting to feel dry. Winters may bother your skin more than they used to. This is because your testosterone production decreases, leading to less oil! To help combat this, try adding a serum containing hyaluronic acid or squalene to your regimen. Read more about moisturizers and which may be best for you on our blog. The hormones that primarily affect female skin are estrogen, progesterone, and testosterone. Estrogens help to keep your skin and hair youthful. When it comes to your skin, estrogens affect thickness, wrinkle formation and moisture. They can increase hyaluronic acid to maintain fluid balance and structural integrity as well as increase collagen production in the skin. Like in males, testosterone increases in the body during puberty, leading to breakouts! During perimenopause, which generally takes place in your mid-30s to late 40s, there is a decline in estrogen and progesterone production. Skin changes during this time run the gamut: drier skin, oilier skin, larger pores, and loss of firm skin because of lower collagen and hyaluronic acid production. During menopause, estrogen and progesterone levels are lower, the effects of testosterone are magnified. That means breakouts! So, next time your skin is feeling dry or oily, take into account your hormones and how to combat them! Want to start using cruelty-free skincare products only? Let us help you out. Do you shop cruelty-free? We may have new information for you! Did you know that cruelty-free doesn’t always mean what you think it does? DId you know that there are different logos and not all are created equal? Let us help you! “Cruelty-free” simply means that a product and its ingredients weren’t tested on animals. This gets more complicated than you would think. Although some companies may not test on animals in the United States, they still do test on animals somewhere in their supply chain due to the regulations of the other countries they choose to sell. Other companies may not test their final product, which is generally where you see labels that say, “Not tested on animals.” While the final product may not have been, the ingredients were. There are a bunch of fake cruelty-free logos out there! Basically, if it’s one of these logos from one of the organizations we’re about to tell you about, it’s safe. You should always check their online database just to make sure. Although it’s a rare occurrence, some companies can and will display official logos unlawfully and without being certified by the organization! Also, some companies chose not to put the logo on their products that are cruelty-free. The logos you can trust are the following: the Leaping Bunny logo, PETA’s cruelty-free logo, and the Choose Cruelty-Free logo. It’s the weekend! While you’re grocery shopping this Sunday, pick up some supplies and treat yourself to some DIY skincare!